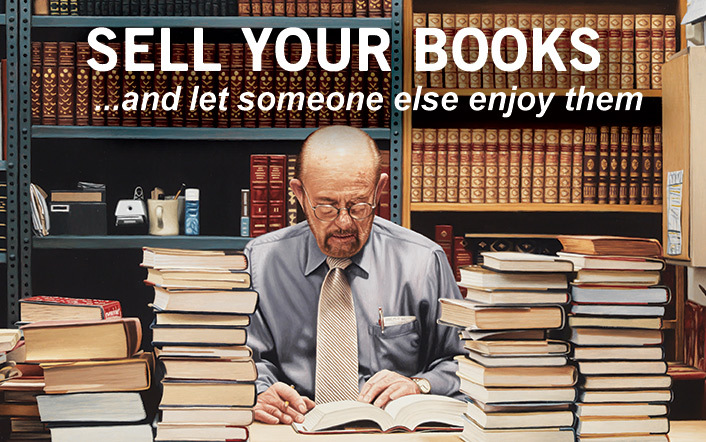 Selling your used books online is a good way to get some extra cash. You can get a good amount of cash, particularly with textbooks because these maintain their value for longer than other kinds of books. Nevertheless, not just any textbook will sell or get you a good sum of money. A few things should be taken into account before selling your used books. You can consider them an insurance that your books will be bought and you’ll get a good amount of money after the transaction. Here they are. Not all books you have will sell. The thing that determines the worth of a book is whether it is on demand. A textbook that’s still being used in schools, obviously, will sell without much discussion. However, a book that only a few people are interested in will be a challenge getting someone to buy. The place you intend to sell the books online will consider these factors. To ensure that the books you intend to sell will be bought, first check whether they are relevant or in demand. Once you’ve determined that the books you want to sell are on demand, the next thing you should consider is the actual value of the book. Different online organizations that buy second-hand books may buy them at different prices. To ensure that you don’t undersell your books, first determine their actual value. You can use the ISBN number of textbooks or whatever book to determine the true worth. Online organizations like Booksrun, that purchase used books, will have a feature that will enable you to do this. Alternatively, you could search online for sites that will enable you to determine the true worth of the books you intend to sell, using their respective ISBN numbers. The condition of the books you are selling is another thing you should consider when selling books online. If the books you have are in a good condition, then chances are that they will get you more money compared to those books that are not in good shape. A book that’s in a good condition will look as good as new. Those that are in a bad condition will contain dog-eared pages, missing pages, foodstuff/ stains, missing or torn covers, or stains from drinks. Books in a bad condition may sell, but don’t expect much money from them. I want to address time from two perspectives: how long it’s been since the book was published and the season you choose to sell them. First, how long has it been since the book was published? There are books that are of very high value, particularly because it has been centuries since they were first published or written. Nevertheless, this is not the case with all books. For instance, textbooks are normally in demand during the first 5 – 10 years of their publication. In addition, during that period, there may be several revisions or editions of the books. If you happen to be in possession of the latest editions or revisions of these books, and it’s been less than 10 years since they were released, chances are that you will fetch a good amount of money from them. However, there are books that will lose value fast. After around five years since their publication, such books won’t be of much value; for instance, magazines, novels, short stories, and other books of that kind. The other instance time applies to, is the season you choose to sell the book. I mean, if it is at the beginning of a semester, chances are that students will be in need of a particular textbook compared to if it is at the end of the semester. The main point here is that you should check when the books you intend to sell are likely to be bought the most; when you are likely to find the most customers. The above are brief but very useful tips that will help you sell the books you want to sell online. As I wrote, you should consider them as insurance that your books will sell. They are also a guarantee that your books won’t sell. If the books you want to sell don’t meet the above criteria, the chances of you selling them are low. Nevertheless, if they meet the above criteria, then you should start counting your money because it’s only a matter of time before that money is in your pockets.